Arrowhead Clinics Duluth, Georgia Office location is located just 15 miles from the center of John's Creek. The citizens of John's Creek, Georgia have been choosing Arrowhead Chiropractic Clinic for their accident injury treatment for over 40 years. We are dedicated to helping victims who have been hurt in auto accidents. Our chiropractors specialize in the treating musculoskeletal injuries, whiplash, neck and back pain. We want to help you recover both physically and financially. Your first visit to our clinic will start with a Free Consultation with the doctor. Dr Gentry, your chiropractor, will start by asking you questions about your injuries and what kind of accident caused them. During this consultation, it is also important to inform your doctor of any on-going health problems you may have, or any recent medical procedures you underwent. Next, the chiropractor will perform a physical evaluation to accurately diagnose your condition. Finally, Dr. Gentry will will develop a high;y-personalized treatment schedule that is tailored to your exact needs. Dr. Gentry will start by checking that your spine is properly aligned. The doctor will also look at your posture and the way you walk to evaluate your movement and any areas that are restricted. Imaging tests may also be performed for a more thorough evaluation. These tests may include x-ray and MRI. Once the doctor fully understands your body's mechanics, a personalized treatment plan can be developed to target the root of your pain and injury symptoms. The chiropractors at Arrowhead Clinic specialize in treating victims who have been hurt as a result of motor vehicle wrecks. 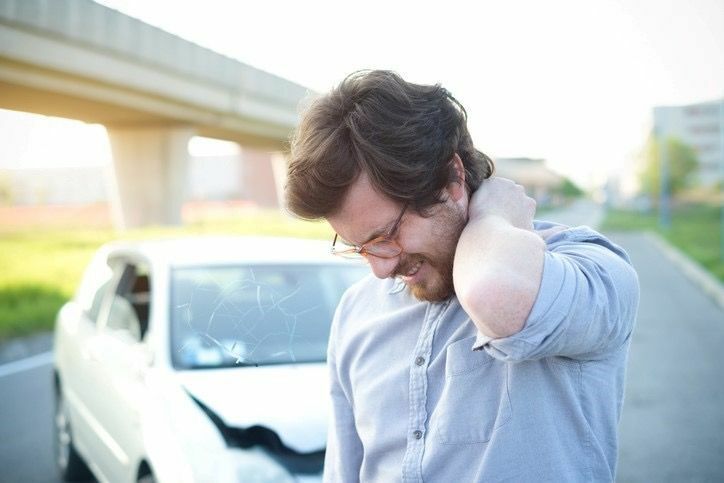 These type of accidents usually result in soft-tissue injuries, like whiplash or back pain. Our doctors have been treating these types of conditions for over 40 years, and have developed successful adjustment techniques and therapies that naturally treat injuries at the source. We want to prevent the need for harmful medications and risky surgeries that only disguise pain. Trust the experts to help you recover! Arrowhead Clinic utilizes all of the necessary techniques, therapies and equipment to get you feeling better after your accident. It is our goal to help reduce pain symptoms and then gradually repair damage caused by an injury. The types of treatment that our patients receive always differs depending on the circumstances of each patient's injury and accident. Arrowhead Clinic is the leading accident injury clinic in the area, and we are dedicated to helping all accident injury victims. You do not have to live with pain and injuries caused by someone else's negligence. We will make sure you are taken care of physically and financially. Call now or click on the button below to schedule your free consultation with the doctor. Arrowhead Clinic's local chiropractors are waiting to treat you after your accident or injury in John's Creek, Georgia!